Shivers Entertainment will be re-launching this title, 15 years after its original release. This time, Shivers will release 'MASSACRE UP NORTH' with a very limited VHS copy; only 70 copies will be available. As well, this will be the film’s first DVD launch and it will host a new, bloodier cover than the original (seen here). 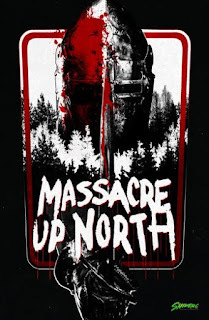 Not to be missed, this second run of 'MASSACRE UP NORTH' will be every low-budget film collector’s dream and every horror fan’s nightmare. After a camping accident leaves him disfigured and tormented by classmates, Leslie Rejick only has one thing on his mind: It’s Time to Even The Score! With a hardware store chock-full of deadly tools at his disposal, he leaves behind a merciless path of death and destruction in a small Canadian town. A pair of inept city detectives, determined to track down the killer, enlist the help of eccentric local coroner Patrick. But, Patrick holds a secret of his own, and he ultimately leads the detectives head-on into a bizarre, bloody battle with the psychotic killer. 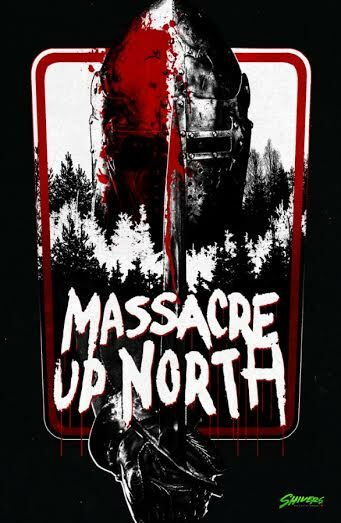 'MASSACRE UP NORTH' is being released on DVD ($19.99) and limited VHS ($29.99) on 24th.May.2016 and can be picked up from Shivers Entertainment. The first 100 copies of the DVD will include a limited edition mini-poster and come packed in Maple Leaf RED cases. As for the VHS release this has been limited to 70 numbered copies and will include a mini poster.